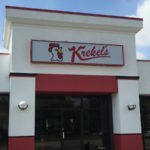 A Decatur-area favorite, Krekel’s is closing its location in Champaign. We were among the horde that experienced Krekel’s in Champaign on opening weekend, and we weren’t disappointed. 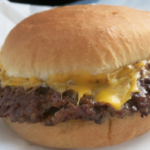 Krekel’s Custard, a burger and shake joint with fans across Central Illinois, will open its Champaign location on June 2. 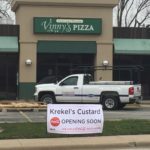 A sign on Kirby Avenue in Champaign heralds the future opening of Krekel’s Custard, a popular Central Illinois staple.